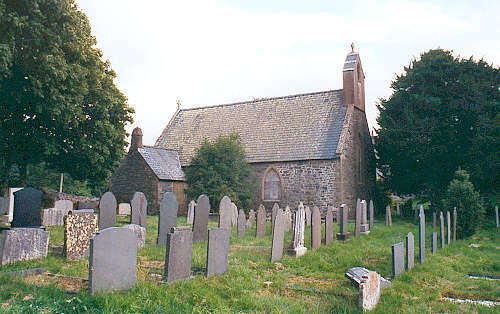 The church at Capel Garmon was originally a chapel of ease to Llanrwst, serving the townships of Garth Garmon and Tybrith Uchaf. Capel Garmon did not become a separate parish until 1927. There have been a number of churches on this site since early times. The present building was consecrated on 11 November 1862. It was closed some years ago. For family history information about the church and parish, visit the GENUKI Capel Garmon page.